People are going to beat their chests and wail about how truly awful this film is. However, that wouldn’t be entirely fair. This film is going to suffer from the weight of expectations based on marketing, past incarnations and a delayed release that only further increased anticipation of its promised brilliance. The film isn’t awful. It’s just average. Average with a generous helping of condescension, showing how out of touch director Baz Luhrmann has gotten with his target demographic. Despite its huge budget and big name stars, the film repeatedly falls short of what it is trying to achieve. It’s pretty to look at, and it strings together the story, but the acting talents of the cast are dismally wasted as they are strangled and stifled under Luhrmann’s heavy handed direction and the bizzarely literal and spelt-out script. 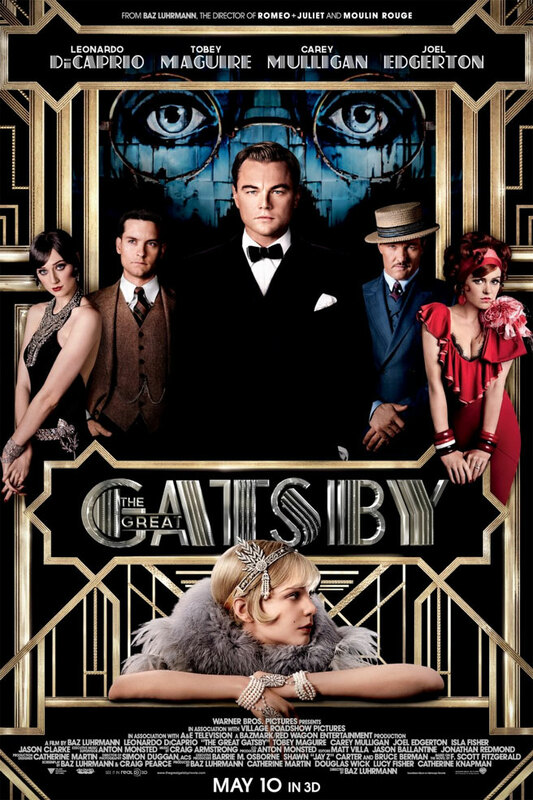 Leonardo DiCaprio suffers the worst from this Bazzareness, and it is painful to watch a potentially brilliant performance as Jay Gatsby wither as a result of poor directing choices. Despite DiCaprio’s best efforts, he manages to shine only in scenes where he has been allowed to use subtlety rather than ham. In one example, he arrives at his neighbour’s house, dressed in a drenched white suit. The shot lingers on him, his expression conveying the indecision and pent up feelings which let him to this moment. Amazing, and unfortunately, a strong contrast to an earlier scene where (an extremely miscast) Tobey Maguire as Nick Carraway narrates a shot of DiCaprio standing at the end of a dock. We see him only from behind, because you know, who needs facial expressions for acting. As he looks out at the home of Daisy (Carey Mulligan), much like Luhrmann trying to re-capture the spirit of his earlier films, Gatsby literally stretches out a hand towards something it is likely he will never reach. Luhrmann continues to spell things out for his (presumably epsilon minus semi-moron) audience throughout the film. On top of Carraway’s voice-over, which on its own was fine, whenever there was a point he really wanted to hammer home (or maybe just words he thought were pretty. Like “haunted”.) text would appear on the screen as though written by a typewriter floating on a breeze. It was all very hay fever commercial. The plot itself is relatively faithful to the book. Some characters are developed well. Tom Buchanan, played by Joel Edgerton, treads the line of chauvinistic meathead vs. wannabutwillneverbe intellectual very well and Isla Fisher is cringingly good as the punching-above-her-weight Myrtle. Meanwhile, the character of Jordan (Elizabeth Debicki), at least in the film, adds nothing and detracts much as her unexplained and often unnecessary presence in most scenes raises questions which distract from the plot. 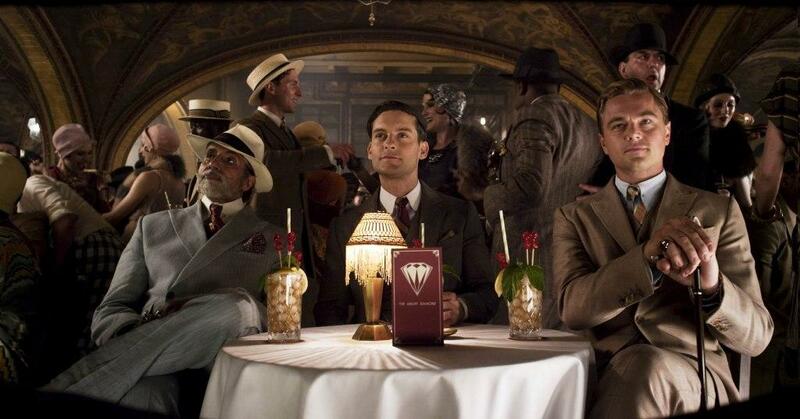 The parties are lavish and hints are given about how Gatsby came by his vast fortune. Did he really go to Oxford? Is he a spy? The mystery is masterfully woven… and then gets aggressively Luhrmanned. Much like a small child smashing its way through an intricate spider-web, the director’s apparent need to leave no question unanswered and nothing to the imagination leads to information being hurled out left right and centre. He’s a bootlegger old sport! He’s into dodgy things old sport! He likes Daisy old sport! It’s starting to sound pretty bad, but it isn’t. Instead, it is simply disappointing. With the combination of such an excellent cast with Luhrmann’s visual genius, it’s not unreasonable to expect great things. However aesthetics overtook plot, unnecessary shoe-horning in of made-for-3D shots added an unneeded half hour, and misguided direction made the acting at times cringe-worthy which is a great shame. Maybe it would have come across better had it been a film without a history. In the end it is somewhat ironic that the latest cinematic interpretation is like the inverse of Gatsby himself; its opulence is built upon a strong foundation, it is entirely self involved, and yet hundreds of thousands will flock to pay their respects at this funeral of lost opportunity. This entry was posted in Film, Reviews and tagged Baz Luhrmann, Carey Mulligan, Joel Edgerton, Leonardo Di Caprio, The Great Gatsby, Tobey Maguire. Bookmark the permalink. “It was all very hay fever commercial” … brilliant!